SUMMIT!!! 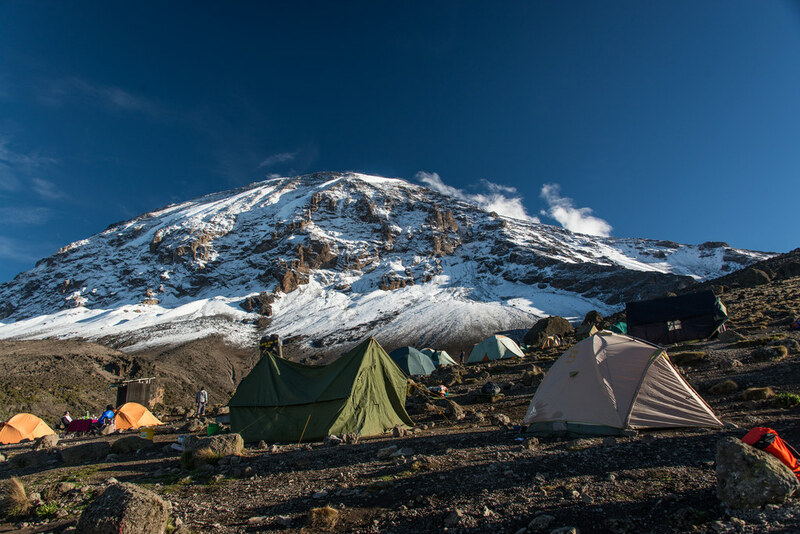 The indomitable team of Artem Rostovtsev climbed to the top of Kilimanjaro ahead of the plan! Kilimanjaro. A Team named The indomitables. Yesterday we were to reach the camp of Karanga, but could not. To be more precise, we did not stop, as planned. We went higher to the camp of Barafu, the assault camp. One word - we are indomitable. No arguments worked, everyone wanted and insisted on continuing the movement. Well, there was the most important argument. "Our" film crew from Japan also moved to the Barafu camp. We can not lag behind, because we are the main characters of the future film. Precipitation yesterday stopped be impressing, a few drops of rain and snow at the end of the marsh. If yesterday was Barafu, then today – we must be at the top. Then we did not change our plans and left the camp at 1 in the morning. 7 hours of persistent walking uphill on a snowy slope and we are on the top. Unfortunately, the younger generation - the two youngest of the team did not visit the summit, for medical reasons. Now we are all moving down of the assault camp down. Maybe we'll skip to the rain.